The film probes the psyche of the young soldiers who fought in Vietnam—their camaraderie, their struggle for survival amid terrifying violence and madness of combat. Dealing with the day-to-day existence of an infantry rifle platoon of thirty guys from all walks of life, Platoon examines the fight between good and evil in the outfit and what it was really like to be a foot soldier (grunt) in Vietnam. 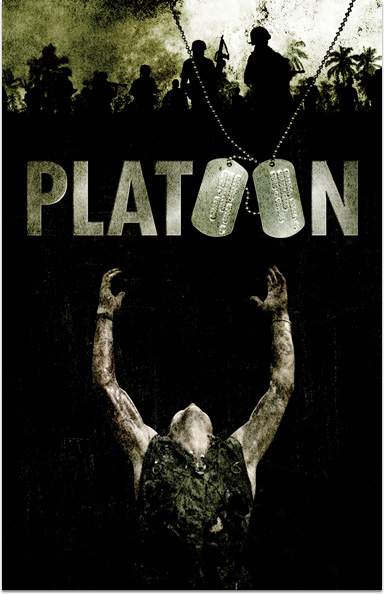 PLATOON © 1986 ORION PICTURES CORPORATION. All Rights Reserved.